Beulah Levy Ledner, born into a Jewish family in St. Rose, Louisiana, opened a bakery in New Orleans in 1933. She became very successful after creating her “Doberge cake” adapted from the famous Hungarian/Austrian Dobos Cake, a cake made of nine génoise cake layers filled with buttercream and topped with a hard caramel glaze. The doberge cake is based on a recipe originating in Alsace-Lorraine. 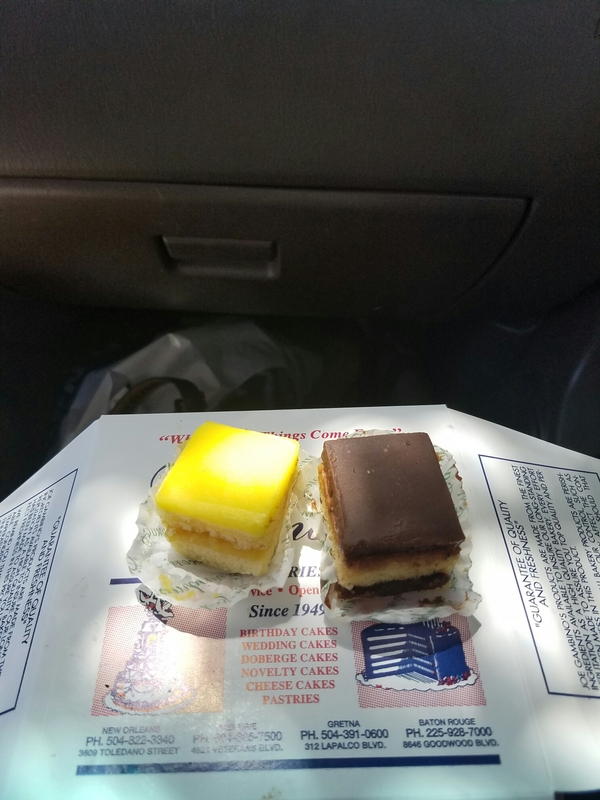 Ledner replaced the buttercream filling of the Dobos Cake with a custard filling and iced the cakes with buttercream and a thin layer of fondant. 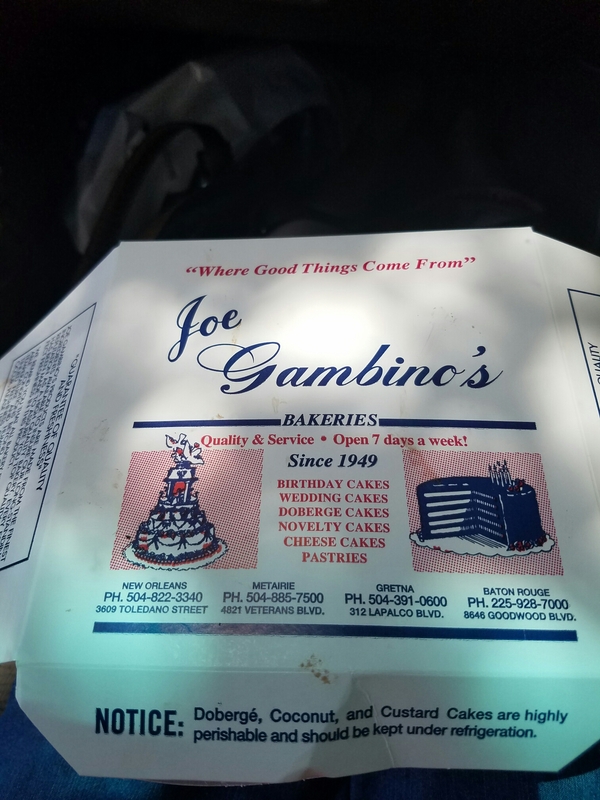 In 1946 Joe Gambino bought the name, recipe and retail shop, including her recipe for doberge cake. If you were looking for the original, you found it.